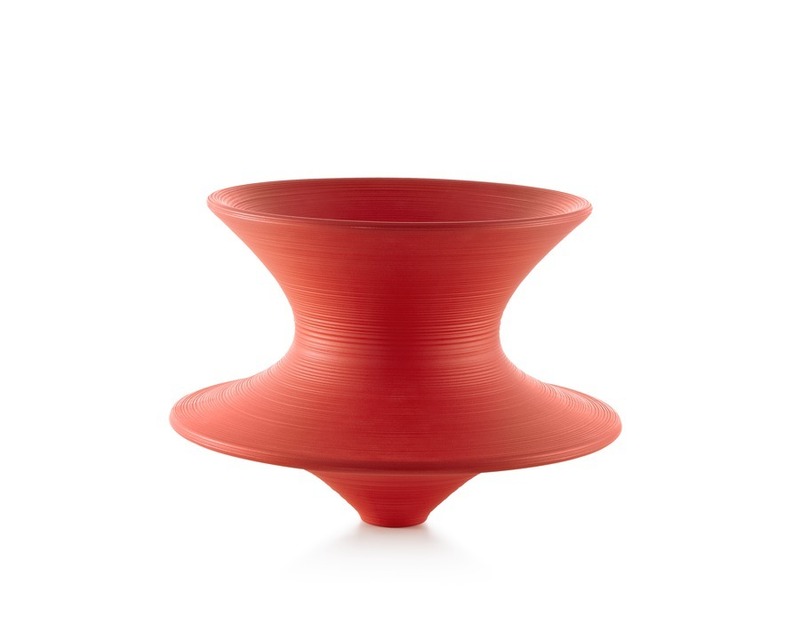 Upright, this fascinating piece looks like a sculptural vessel. 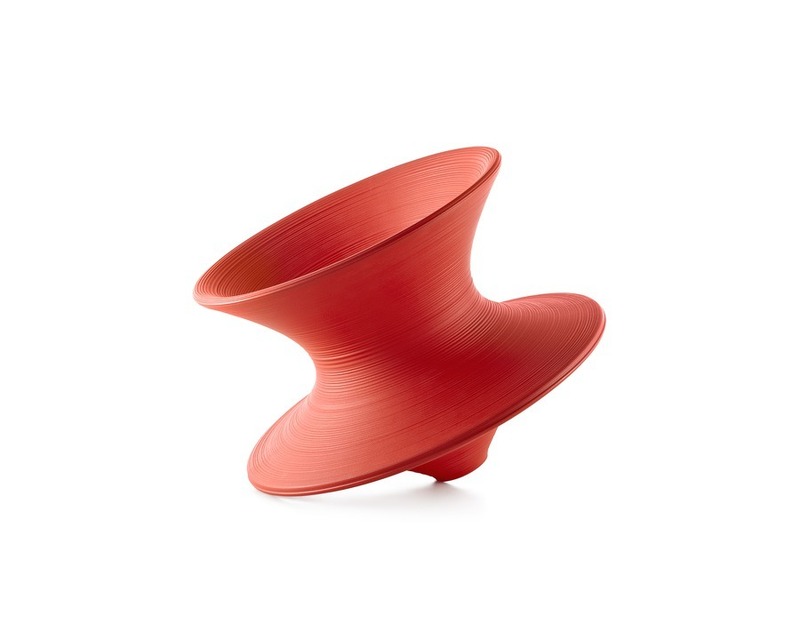 But when leaned on its side, it forms a comfortable, functional chair that lets you rock side to side or spin around. Thomas Heatherwick worked with Magis to create Spun using a rotation molding method and materials that make it durable for outdoor use.